Ever since the first Model-T rolled off the Detroit assembly line, the automobile has been synonymous with freedom – the freedom to explore a world far beyond the horizon. Now… RYNO offers a new kind of freedom – the freedom of transition – to slip between the cracks of the rigid transportation system we’re stuck with, mix with people, and cruise with bikes. The RYNO isn’t about owning the road – it’s about sharing the pathways and byways that move a little bit slower but get you there in about the same time and a lot less stressed. It’s about reducing your impact, your footprint, and most importantly, your own frustration. RYNO makes movement easy so you can go just about anywhere. With RYNO, you’re not limited by roads or bike lanes. It’s a whole new world, filled with paths that only you can see. It’s adaptable to a wide range of uses including urban transportation, government security, and industrial customers. RYNO is at home in both tight spaces – like the daily micro-commute from a downtown condo to the office – and big spaces like the tarmac at an international airport. But the most amazing thing about RYNO isn’t necessarily what it can do – it’s how easily it does it. With a little practice, riding a RYNO is as natural and easy as riding a bike (and a whole lot less likely to make you break a sweat.) RYNO keeps you from falling by helping you balance forward and backward – you’re responsible for balancing it side-to-side. The RYNO is designed to resemble a conventional motorcycle in its controls, and riding position making you feel right at home as soon as you sit down. Cars, scooters and even typical two-wheeled bicycles are confined to the road. The RYNO – at less than half the length of a bicycle – fits where you stand, and can pivot 360 degrees on a vertical axis. Ride into an elevator, spin around, press the floor button, and then effortlessly back up like any other person on foot. 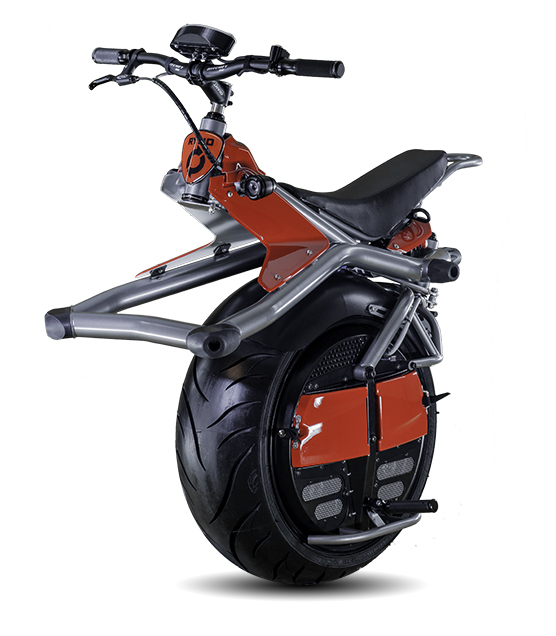 *The RYNO can go to most places where a person can walk or ride a bike. In an effort to get people out of their cars, cities are trending to allow personal mobility products to mix with pedestrian traffic. See our Regulatory Page for more information on where you can ride.